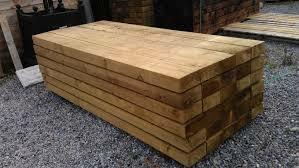 An ideal solution for your garden project. 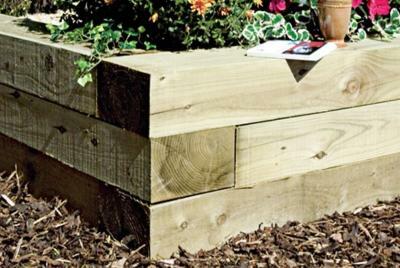 Clean, safe and easy to work with these railway sleepers have many uses around the garden such as retaining walls, steps, patios and decks. They will endure for decades without rot and they will weather to a silver colour without the need for preservatives.